Congratulations to Melia Paguirigan for being selected by the ASLO Multicultural Program to attend the 2017 ASLO meeting in Honolulu Hawaii. 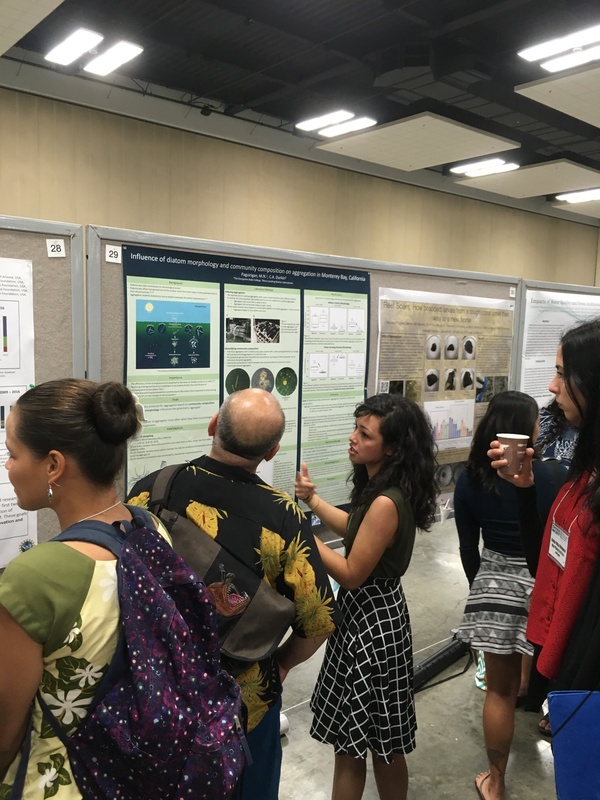 (ASLO = the Association for the Sciences of Limnology and Oceanography) Melia presented a poster about the research she conducted in my lab during summer 2016. Read more about her research and experience here. Her research on diatom aggregation was made possible through the California State University Monterey Bay Research Experience for Undergraduates. Great work Melia! ← New microscope, ready to bring out to sea!